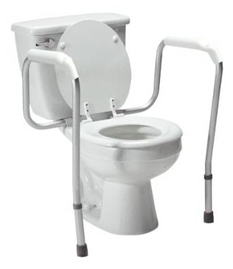 A transfer aid that can be used to help individuals get on and off the toilet. 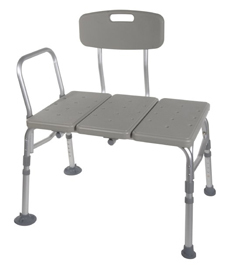 Great for low toilets where one needs to push off to get into standing. Can also be used by low vision individuals to help orient themselves to toilet location. 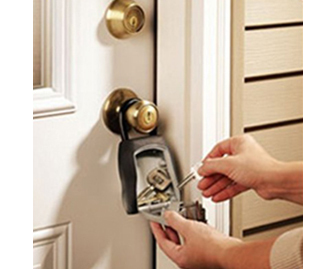 A combination box that can be placed on the exterior of your home with a key inside. If provided with the code, first responders or caregivers can access your residence when you are unable to open the door ie. after a fall, etc.